janvier | 2010 | Mystère et boules de gomme ! Hey FIA fans, after watching Leçon 32 for the umpteenth time, I note this detail that ought really to be added to the FIA Fans Wiki entry for this episode. (Anyone care to help resurrect the wiki?) 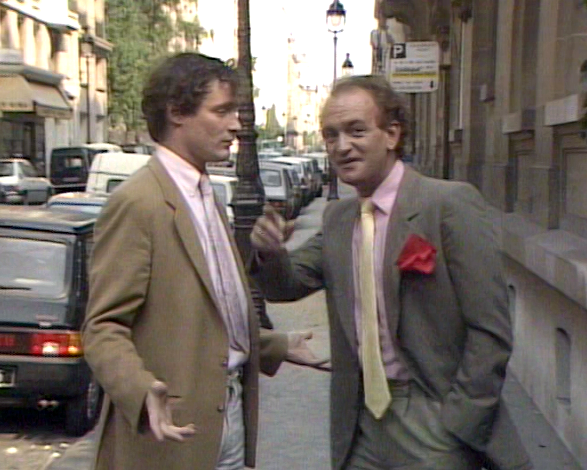 At the beginning of the teleplay, Robert, perdu comme toujours, gets directions to the Belleau household from a guy on the street who a short time later is seen presenting the weather on the Belleau’s television. It was clear that this was the cameo of someone well known, at least to the French. There is no credit at the end, but I listened to Professor Capretz say the man’s name during his review of the dialogue and got it close enough to Google it. (Of course I could have just looked at the text of the dialogue.) He is Alain Gillot-Pétré and he was France’s most famous TV weatherman at the time and apparently much beloved. Unfortunately he died in 1999 when he was just short of 50 years old.